In October every year, air quality takes a plunge in the Indian capital of New Delhi due to the Diwali festival. At the time of writing this story, PM10 levels in several places in the city have breached the hazardous mark of 700. To fix this problem, a startup situated near Delhi plans to make a huge smog-eating tower (LoTR much?). 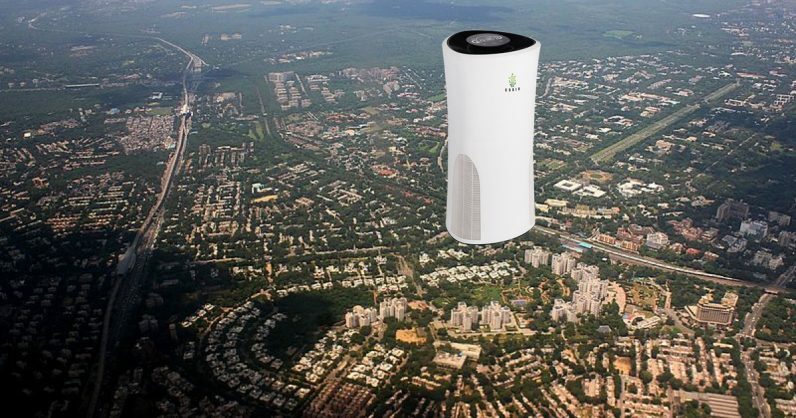 Kurin Systems, an air purifier startup, wants to build a 40-feet tall purifier, that can provide clean air for nearly 75,000 people in a three-kilometer radius. The company claims it can produce 32 million cubic meters of clean air. The purifier uses 48 fans and nine stages of filtration to pump out 1.3 million cubic meters of fresh air per hour. The World Intellectual Property Organization recently granted a patent to Kurin systems for “the world’s largest as well as the strongest air purifier.” In terms of the size, the ‘City Cleaner’ tower is 12.9 meters tall, 6.1 meters wide and 6.1 meters. The company will need an additional 9.1 meters around the purifier to avoid accidents. “This device can run solely on solar power as well. But we would need more space for it. We already have partners who are ready to help us with setting up solar panels. We ideally don’t want to use the power grid to make the tower eco-friendly,” the company’s co-founder Pavneet Singh Puri told TNW on a call. Currently, a 100-meters tall smog tower in Xian, China, holds the record of the world’s biggest air purifier. It provides 10 million cubic meters of clean air every day. Although, Puri says that his company’s smog tower uses a different technique. The company is already in talks with the authorities to implement this project. Puri says that once approved, the tower will take nearly four months to build and cost nearly Rs 1.75-2 crores ($239,000-$272,000).